I heard about this book quite some time ago, but only lately I’ve resolved to read it. 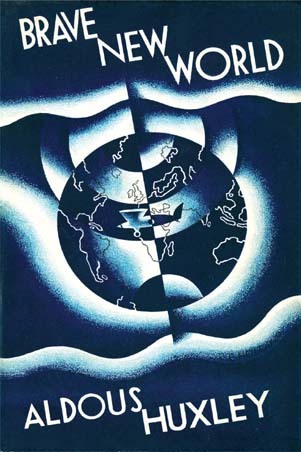 Brave New World is Aldous Huxley masterpiece: a dystopian book that is considered the fifth best novel of the 20th century. The future world that Huxley imagined during the 30s is completely organized: almost nothing is left to chance, to nature’s and mankind’s randomness. I’ll intentionally avoid describing that society and the particular story that happens in it because the book really deserves a careful reading. Let’s just say that the story is funny at times, dark at others. There’s also a particular moment that I found terribly sad, the death of John’s mother; it touched me a lot because of the particular context where it happened and because of Linda’s conditions.